These capacitors offer excellent build quality, long-term reliability, and astonishing sonic clarity, all at a 1% tolerance for improved stereo matching between speakers. Tightest capacitor tolerance available: +/-1%! Dayton Audio is once again leading the charge at bringing high quality, high value products to the speaker building community. Their new line of 1% tolerance capacitors gives you the ability to construct high-precision crossovers, which can eliminate "stereo wandering" and solidify the imaging and soundstage of your speaker systems. Commercial manufacturers know of this problem and buy thousands of capacitors so they can hand-match them for their products-- now you can effectively do the same, because every capacitor is matched! 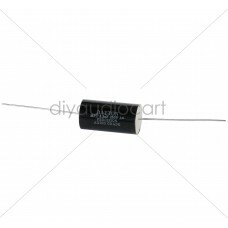 These capacitors share the same excellent build quality, long-term reliability, and sonic clarity of the standard Dayton Audio metallized polypropylene capacitors. 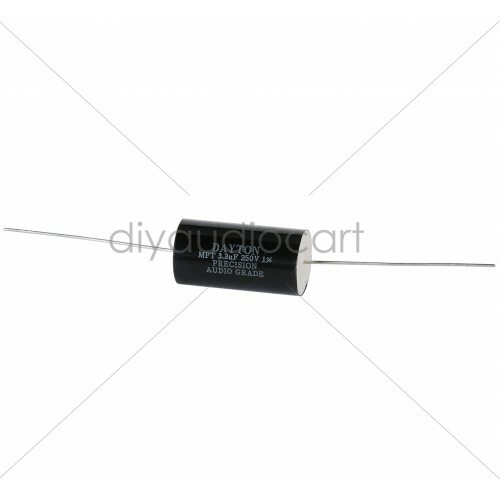 Well-known in the industry as the brand of choice for use in loudspeaker crossovers, they offer the performance of boutique capacitors at a fraction of the price. Let the excellent reputation of Dayton Audio and their Precision Capacitors help you build the best speakers that you possibly can.